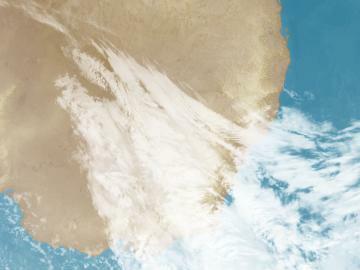 Thick cloud over western NSW with a trough and front continues to bring rainfall and storms, now mainly in the northwest. Cloud in the state's south as the front moves east is now triggering showers and the odd storm in the east. 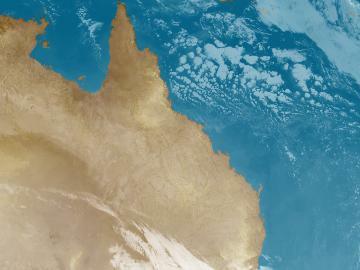 A cloud band over central and southern NT with a trough is yet to produce rainfall. Patchy cloud in the north with a low is triggering the odd shower along the northern coastline. 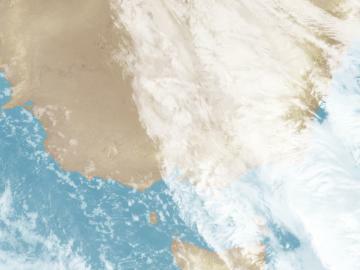 Thick cloud in southwestern QLD with a trough is producing rain, some heavy, and widespread storms, some severe. Patchy cloud along the east coast with onshore winds continues to trigger showers, and some heavy rain about Mackay. 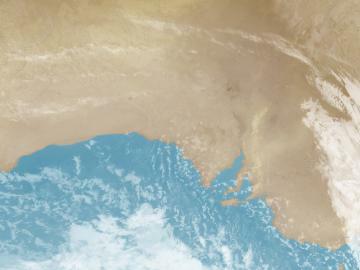 Patchy cloud along SA's south coast with onshore winds is triggering some showers, mainly about Adelaide. Cloud in the far east is continuing to clear as the trough moves. Skies are clear in the north under a high. 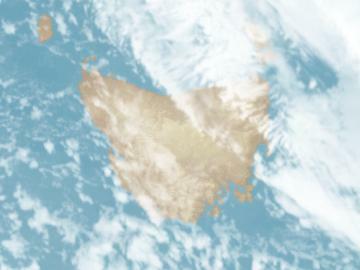 Light cloud in western TAS with onshore winds and a weak trough is triggering the odd shower. Skies are clearing in the east as the frontal system moves offshore. High cloud across central and eastern VIC with a trough is producing the odd shower. 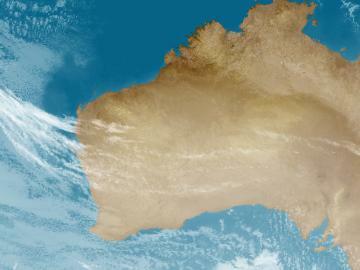 Skies are beginning to clear in the state's west as a high pressure system moves in. 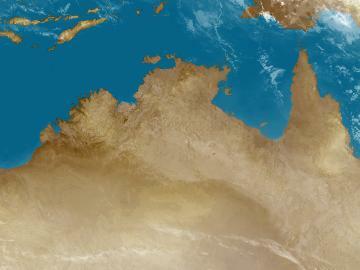 A cloud band in northern WA with a trough is only producing the odd shower about the Pilbara. Skies are mostly clear elsewhere under a high pressure system.